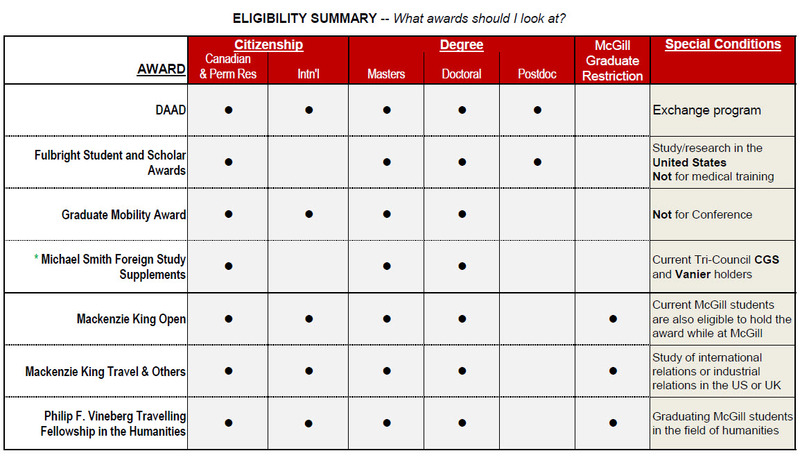 The Graduate Mobility Award encourages graduate students to study and conduct research abroad as part of their McGill degree program by defraying part of the cost of the international experience. Hoping to study and/or conduct research outside of Canada? The following external funding opportunities may help you do just that. These awards will support up to six Canadian research scholars travelling to Ireland for visits of between 4 and 6 weeks in duration. For more information, please visit the Ireland Canada University Foundation website. Mitacs builds partnerships between academia, industry, and the world – to create a more innovative Canada. Take your graduate or postdoctoral research abroad with Mitacs Globalink. Globalink offers travel funding between Canada and several international partners. For more information, please visit the Mitacs Globalink website.